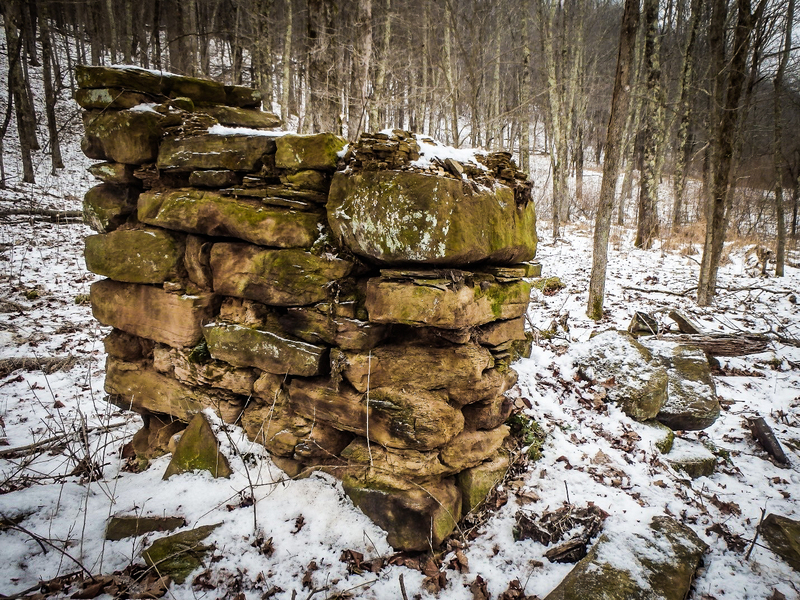 At the western edge of Upshur County lies a small perennial stream called Rover’s Run. This stream derives its name from a case of mistaken identity, according to Lucullus Virgil McWhorter, an amateur archaeologist, author of a 1915 book on the history of Hacker’s Creek, and later Western pioneer who grew up nearby. McWhorter describes his grandfather and a friend’s (John Edmonds) hunting trip. As they traveled through the unbroken forest, Mr. Edmonds spied a wolf off in the distance. After taking the shot, he approached the dead animal, only to find that he had killed his favorite dog, Rover. Like the rest of the Hackers Creek watershed, this stream runs through a deep valley surrounded by steep, narrow ridges. 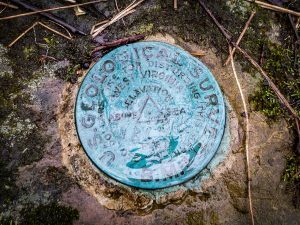 One of the overlooking ridgetops, which also happens to be the tallest point in the watershed, is identified on old maps as “Bear Knob.” This name comes from another hunting anecdote from the mid-1800s, also recorded by McWhorter. After a hog was taken from a farm, Isaac Reger took a rifle and hunting dogs to track down the offending bear. His dogs chased the bear into a tree on the tall knob, allowing Mr. Reger to take his revenge. The knob had formerly been known as “Potato Knob,” due to its profile’s similarity to a potato mound, and later became a popular site for Easter parties. Although McWhorter is considered to be a reliable source, his information is based on oral tradition. This is often the case in local history, which mixes hearsay, “fish stories,” and half-remembered events that are much more colorful than the dry government records and genealogies that scholars use to research the past. While we may never know where Rover actually died, or if a hungry bear was really a defining local moment, archaeology can give us a science-based look into the everyday lives of past individuals. History can tell us Mr. Smith lived in the year eighteen-something, but archaeology can tell us that he had a habit of smoking with a horn pipe and that his wife bought her dishes from the city instead of the local general store. 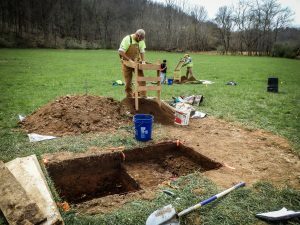 On a bigger scale, archaeology can answer questions about socio-economic status, farmstead layout, and other topics that don’t always make it into written records. 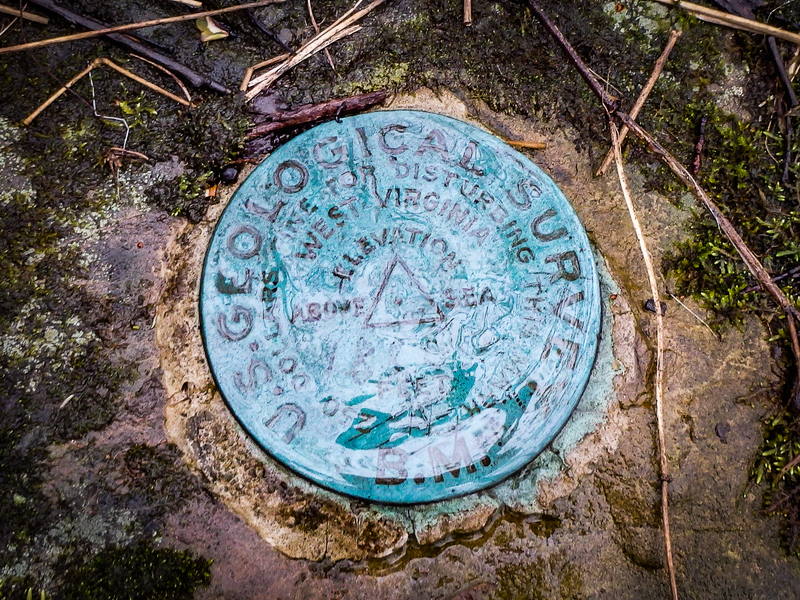 In November 2014, AllStar Ecology began an archaeological survey of the Bear Knob Property, which includes both Rover’s Run and Bear Knob. 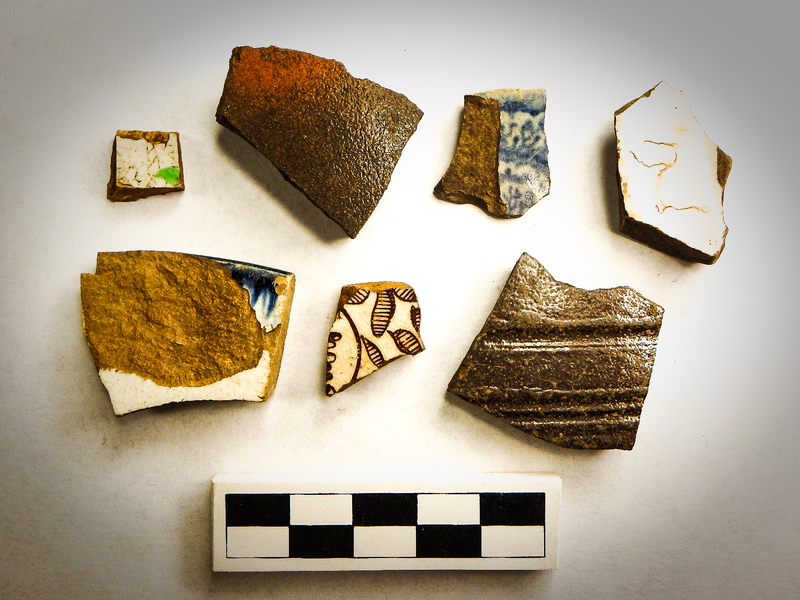 A total of 738 artifacts were collected, including Native American tools and pottery, a horseshoe, possible lead shot, and fragments of dishes and bottles from early European-American settlers. These artifacts belonged to 12 different archaeological sites and may span as much as ten thousand years, providing a unique look at human history within a single West Virginia valley. These resources included isolated lithics, scatters of prehistoric artifacts, historic-period debris scatters associated with old houses, and a group of interesting rock piles. As AllStar Ecology’s Archaeologists began to study the artifacts and relate them to historical documents, the story of an early West Virginia family began to emerge. Instead of just reading about the Lawmans, Bonds, and other inhabitants of the hollow, we were holding the physical representations of their lives and actions. 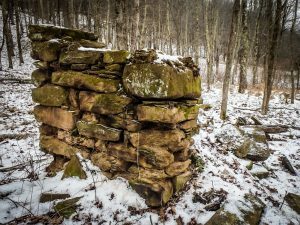 According to a descendant, William Lawman and his father Barnhard built a log cabin at the head of Rover’s Run in the 1860s, matching the interpretations of survey findings. Along with an older brother, William fought for the Union during the Civil War, while Barnhard and his 10-year-old son fought for the Confederacy. The latter two moved to a neighboring hollow after the war and a path between the two is visible in aerial imagery. The remains of their homes were studied and can contribute to our understanding of daily life during this difficult period in history. Many of the identified cultural resources will be preserved within an aquatic resource mitigation bank to be constructed on the property, which will allow for their future access by archaeologists, perhaps as part of mitigation for another project. The Bear Knob Property survey was a unique experience for AllStar Ecology, as it uniquely shed light on the history of an entire hollow and provided an example of how cultural resource management can benefit from mitigation banking. Charity Moore is an archaeologist with AllStar Ecology, LLC and has worked on a variety of archaeological and cultural resource management projects in West Virginia, Pennsylvania, and Ohio. She has experience with Phase I, II, and III archaeological excavations, artifact analysis, writing archaeological reports, and conducting Section 106 consultation with State Historic Preservation Offices, which includes identifying and recording historic structures and other cultural resources. As part of the Erie County Historic Cemetery Survey, she also completed a comprehensive cemetery survey and threat assessment report.